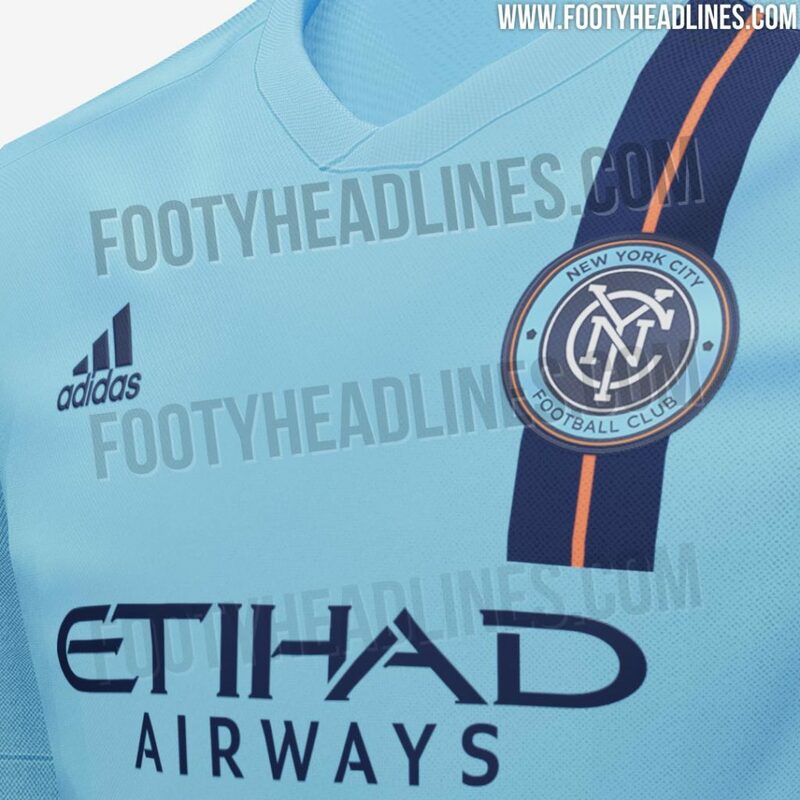 Earlier today Footy Headlines leaked New York City FC’s 2019 home kit. The New York City 2019 MLS home kit is sky blue with dark blue and orange trim in a rather clean and modern design. Specifically, there’s a dark blue vertical stripe on the left side with a thin orange in the center. 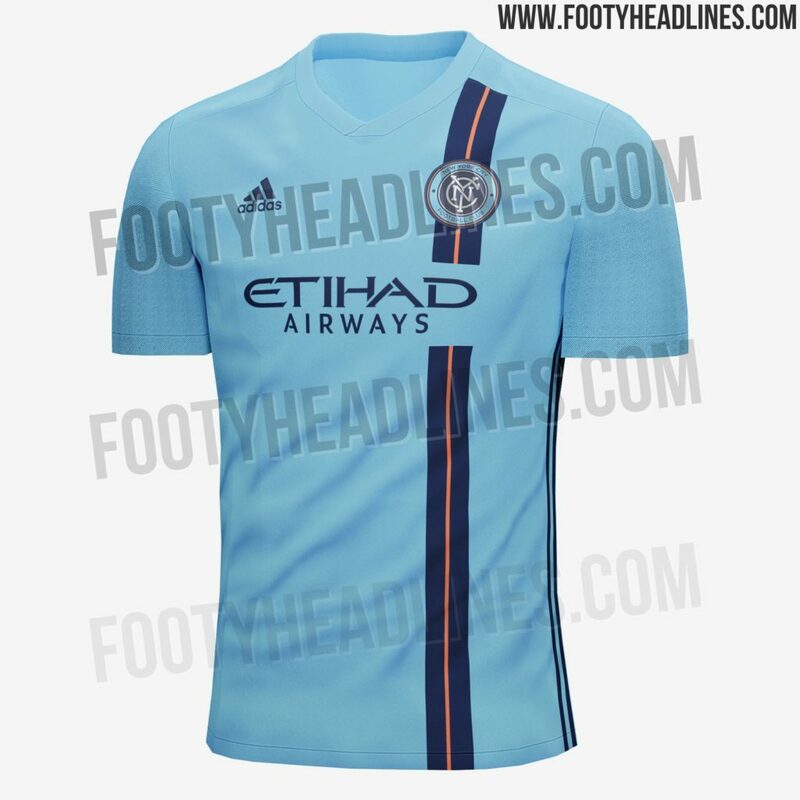 The Adidas stripes are placed along the sides of the New York City FC 2019 home jersey, colored dark blue. Overall the NYCFC fan base is not too happy with the design. I personally like it except it does not look completed. Missing from the leaked jersey is the NYC Flag and the stripe should go all the way up to the top of the shoulder. Either way the leaked kit has not been confirmed by NYCFC. What are you thoughts on the jersey? Eh, cool … now can we get a f***ing stadium or whaa?!!?! ?